Turkey: Early Opening of Jerusalem US Embassy ‘Extremely Worrying’ - Integration Through Media ....! 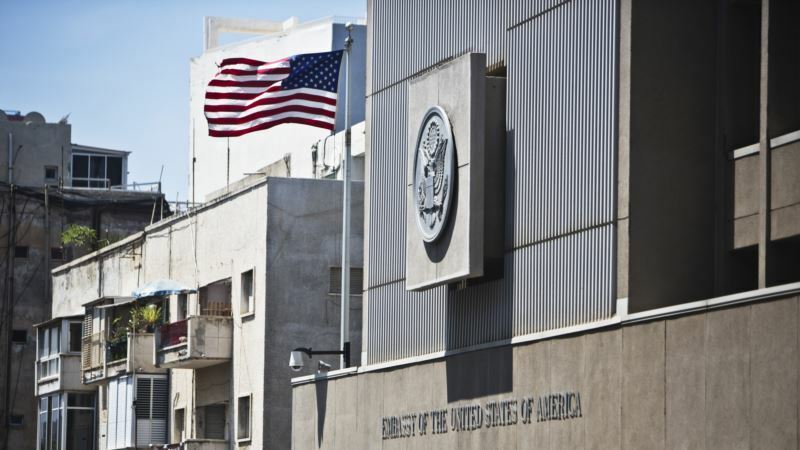 (VOA): The Turkish government called it “extremely worrying” the U.S. will open an embassy in Jerusalem this coning May instead of by the end of next year as had been previously announced. “This decision shows the U.S. administration's insistence on damaging the grounds for peace by trampling over international law, resolutions of the United Nations Security Council on Jerusalem,” Turkey's Foreign Ministry said Saturday in a statement. Vice President Mike Pence told the Israeli parliament last month the move of the mission from Tel Aviv to Jerusalem would take place at the end of 2019, but the State Department said Friday the administration would open the embassy in May to coincide with the 70th anniversary of Israel's founding. President Donald Trump announced U.S. recognition of Jerusalem as Israel's capital in December, angering Washington's Arab allies and Palestinians, who claim the eastern part of the Old City as their capital. “Turkey will continue its effort to protect the legitimate rights of the Palestinian public … against this extremely worrying decision by the U.S.,” the ministry said. Jerusalem is considered holy by Christians, Jews and Muslims and is central to the Israeli-Palestinian conflict. The move further strains relations between the U.S. and Turkey, already at odds on a number of issues, including Turkey's latest military offensive against a U.S.-supported Kurdish militia in Syria. The U.S. is the only country to recognize Jerusalem as Israel's capital, a move that has also created dissension between the U.S. and the European Union over peace efforts in the Middle East.